The term “Gluten Free Diet” has been thrown around a lot lately, but what does it mean to be gluten free or to follow a gluten free diet? First we must understand what gluten is, to understand what it means to avoid it. Gluten is a food protein found in the grains wheat, barley (malt) and rye. In the western diet, these grains are pervasive, so it can be difficult to avoid them, particularly when eating out or buying processed foods. Gluten is not something you would see with the naked eye – it’s a tiny food protein, but to those who are sensitive to it, a tiny amount is enough to cause a cascade of health problems. Gluten can lurk in crumbs, sauces, dressings, seasonings, and of course breads, pastas, pizza and grain-based alcohols like beer. That means that anything in your kitchen or in a restaurant kitchen that has touched these things (think toasters, pans, colanders, lunch boxes, utensils, counters, dish scrubbers, tea towels, etc.) may still have gluten on it or in it. When this gluten residue touches gluten free food, gluten contamination (or gluten cross-contact) occurs and it can make certain people very sick. 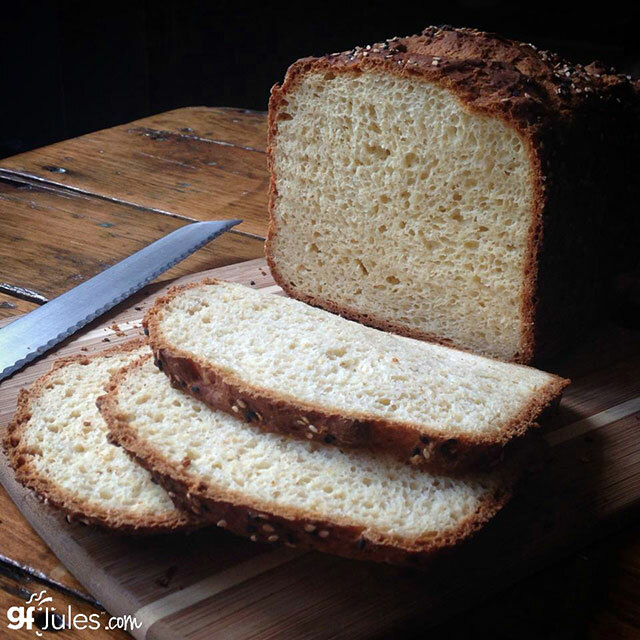 Who should follow a gluten free diet? There are really three categories of people who need to follow a strict, medically-necessitated gluten free diet: those who have an allergy to wheat, barley or rye; those who have celiac disease; and those with non-celiac gluten sensitivity. An allergy to one of the gluten-containing grains (usually wheat) is akin to what we are familiar with for those with a peanut allergy. A person with the allergy cannot be exposed to wheat, or their body will react by releasing histamines, producing a variety of symptoms, usually unique to the individual. Like most true allergies, these symptoms are often rapid and may be severe. Food allergy symptoms can range from a skin rash to gastrointestinal distress, swelling, migraines or even difficulty breathing and death due to such anaphylaxis. Luckily, once the allergen is removed from the body, or in many cases, if the person takes antihistamines, the body can quickly get back to normal. This rebound differs greatly when compared to the often long-term effects gluten produces in someone with celiac disease. Celiac disease (also known as celiac sprue, coeliac disease, non-tropical sprue or gluten sensitive enteropathy) is a chronic and permanent sensitivity to the food protein gluten. Developing celiac disease requires three things: a genetic predisposition; exposure to gluten through digestion; and a trigger that starts an immune system’s injurious response. Celiac disease occurs in people of all ages. It is the most common genetic disorder in North America and Europe, and is found in populations all over the world, affecting approximately 1 in 100 people. Celiac disease is an autoimmune disease, meaning the body attacks itself in an inappropriate immune system reaction. In most all other autoimmune diseases, the catalyst for starting the body’s inappropriate reaction is not yet known. But celiac disease is actually the only autoimmune disease for which there is a cure — to eliminate gluten from the diet entirely. Gluten sensitivity is a very real medical condition that affects an estimated 18 million people in the United States, to some degree. It is not an allergy, nor is it an autoimmune disease like celiac disease, but it can cause severe, uncomfortable and even debilitating symptoms. Gluten sensitivity is a condition where the body is unable to properly digest gluten. Recent studies have found that the bodies of those with non-celiac gluten sensitivity also produce an abnormally high number of proteins that activate inflammation (the immune system’s first defense) and an abnormally low number of suppressor T cells which suppress the inflammation. The inflammatory response, like that raised against the flu virus, can cause fatigue and dizziness. Symptoms can range from quite mild to very serious, but unlike a true “allergy,” anaphylaxis leading to death will not occur. A gluten free or even a low-gluten diet may help alleviate these symptoms, but the only way to know is to try a completely gluten free diet for a period of several weeks to see if you feel better. If you do, then your body is telling you your answer. Unlike with celiac disease, a person with gluten sensitivity may be able to eat small amounts of gluten without damaging their body — the symptoms suffered will dictate whether and how much gluten they can tolerate. Studies have shown that anything more than 1/8th teaspoon of regular flour, or 1/350th of a slice of regular bread (up to 10mg gluten) can cause intestinal inflammation and even villous atrophy in celiacs. Many people find that they experience symptoms with even less gluten exposure. 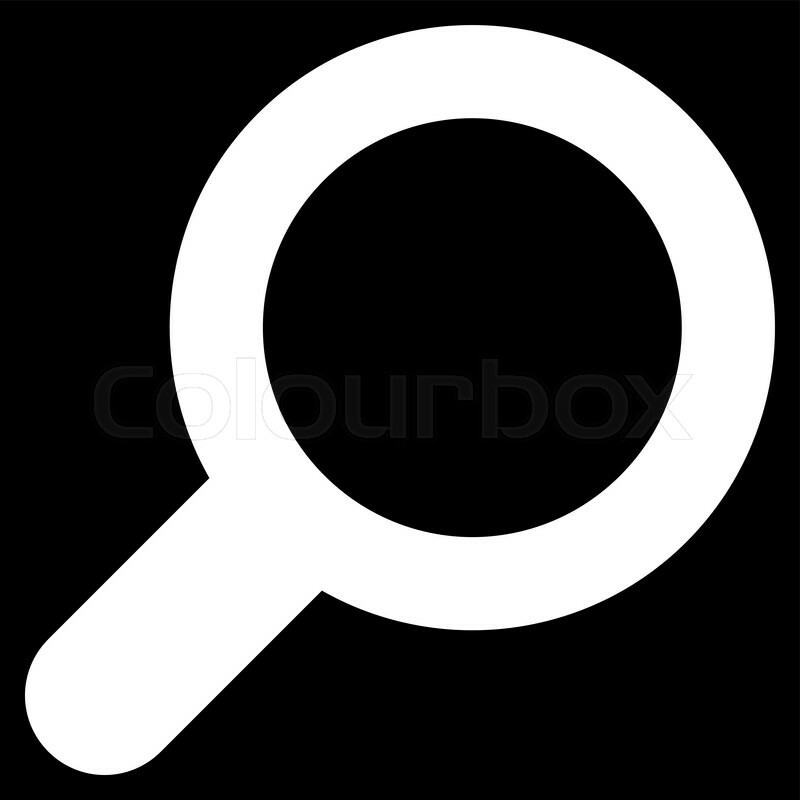 Other studies attempting to find the threshold for prolonged gluten exposure formed the foundation for the FDA’s decision to restrict gluten free food labels to only those foods containing less than 20ppm gluten. All this is to say that mere crumbs could harm someone with celiac disease; trace amounts can cause symptoms for those with gluten sensitivity. That’s why you should never simply pick the croutons off a salad, for example. And you shouldn’t risk using pots, pans, condiments, grills or appliances which may have such crumbs remaining from a non-gluten-free meal. It also means that eating out can be tricky. It is very difficult for a restaurant which is not dedicated gluten free to prepare a meal that is truly safe. 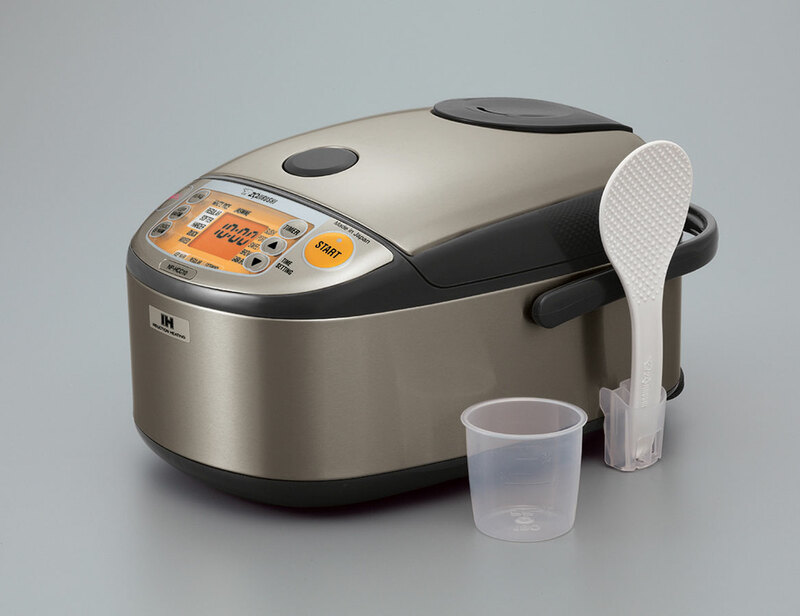 Fortunately, you can make ANYTHING you want at home, ensuring not only that your food is gluten free and free from cross-contact, but also that it is healthier, less expensive and tastes better! When people go gluten free, I always tell them to make a list of their “must haves”– the things they must be able to enjoy, even on a gluten free diet. This could include staples like soft sandwich bread, as well as sentimental favorites like deep dish pizza, your grandma’s noodle casserole, Thanksgiving stuffing, pierogi, donuts and cinnamon rolls. Whatever those essentials are, they are unique to you, and they need to be put on your list. Without finding replacements for those dishes, your transition to gluten free will be bittersweet. However, when you learn to make these favorites again, gluten free, you will not only feel satisfied, but proud! There is no feeling quite like the accomplishment of baking fresh homemade bread to share with friends and family, whether you were an avid baker pre-gluten free or you’ve never baked a thing from scratch. Once you identify the foods you need to have to make a successful transition, it’s time to find a way to get them or make them yourself. Because of the explosion of gluten free products in recent years, it is hard not to stumble upon many popular food items as packaged food in most grocery stores. Not all of these items are particularly healthy – many contain extra fat or sugar to mask the taste of some gluten free flours – and many are not as tasty as you would hope. It is for that reason that cooking at home is the best answer for most of the essentials and the treats you’ve put on your list. Before you dismiss the idea of baking at home, let me assure you that baking gluten free is in many ways easier than baking with gluten. That means that even inexperienced bakers can expect to enjoy success in the kitchen. Let me give you an example: baking with yeast is typically an hours-long process when using gluten-containing flours, involving steps like punching the dough down, kneading it for extended periods, allowing it to rise at least twice and babying the dough with time, gentle temperature and moisture. This process, while beautiful and truly an art, is daunting to many. 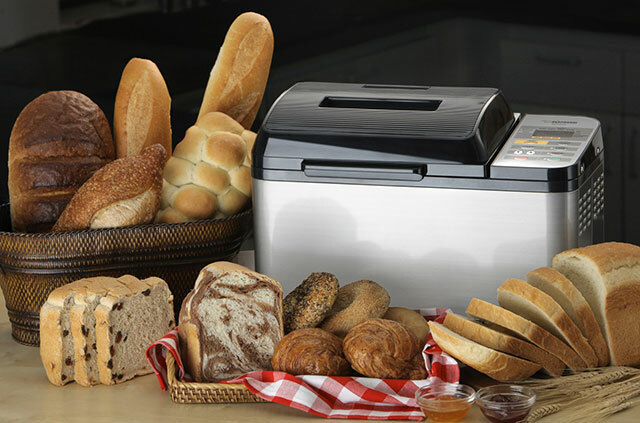 By contrast, baking gluten free yeast breads is a relatively simple and quick process. So much so that I recommend using rapid rise or quick yeast, rather than regular yeast, in gluten free bread baking. There are no steps like punching or kneading, no second rise and less babying. 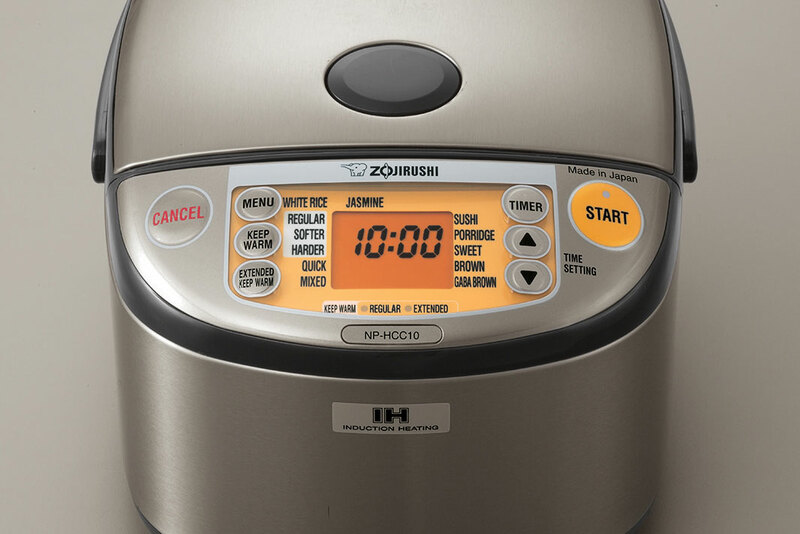 In fact, if you choose to use a bread maker with a gluten free setting, like the Zojirushi Home Bakery Virtuoso® Breadmaker, you simply add the ingredients to the pan, close the lid, press a button and walk away. Two hours later, you are treated to fresh baked, soft and savory bread! 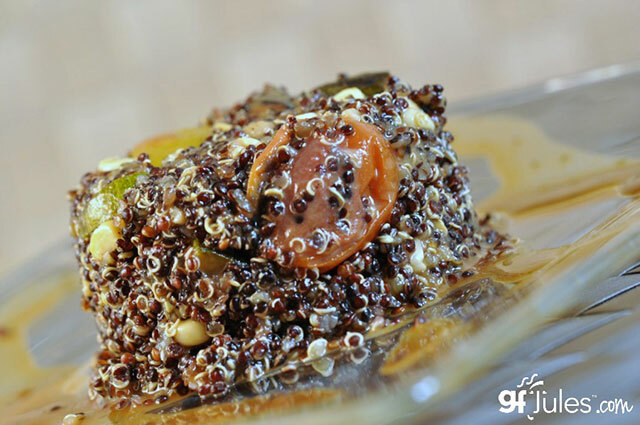 Loads of other foods like rice, quinoa, beans, salads, fruits and vegetables are already gluten free and are easy to prepare. These whole foods plus easy soups, gluten free pasta, lean proteins and homemade breads and treats combine to make a delicious and nutritious, well-rounded meal plan that is far more economical and safer to make at home. Controlling your budget and your health through diet alone is truly a gift. Once you embrace the gluten free diet for the healthy new lifestyle that it is, you should take pleasure in taking control, learning a new way of cooking, and enjoying more family meals at home, together. You never know what great new memories will be made in the kitchen and around your table! Who doesn’t love grilled chicken on skewers? Yakitori is one of the most popular and ubiquitous types of kushiyaki found in Japan and in areas where Japanese food is popular. Yakitori are bite-sized pieces of chicken, skewered and grilled. 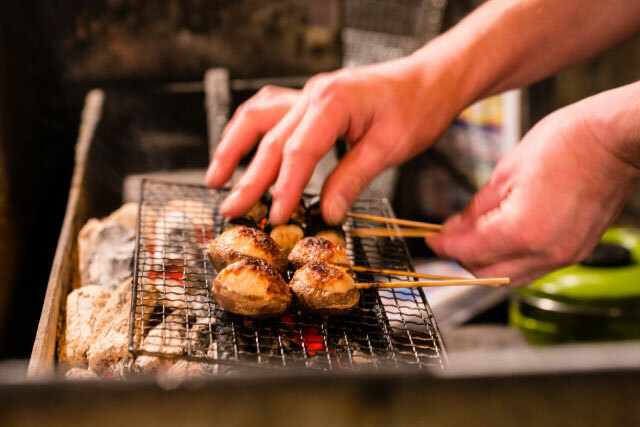 In Japan, yakitori can be found at yakitori-ya restaurants, street food festival stands and more commonly, at izakaya, or bar and grill style restaurants. Having them at a street fair or izakaya is quite an experience! Generally paired with beer or sake, yakitori are perfect for after-work happy hour or after-party noshing. There are quite a few varieties of yakitori. One of the most popular ones is tsukune, which are ground chicken meatballs, glazed with a thin teriyaki-style sauce and often accompanied by shichimi pepper. Negima yakitori are small pieces of chicken thigh skewered on bamboo sticks with stalks of green onion, and occasionally salted or glazed. Without the green onion, these yakitori are called momo, literally meaning “thigh”. 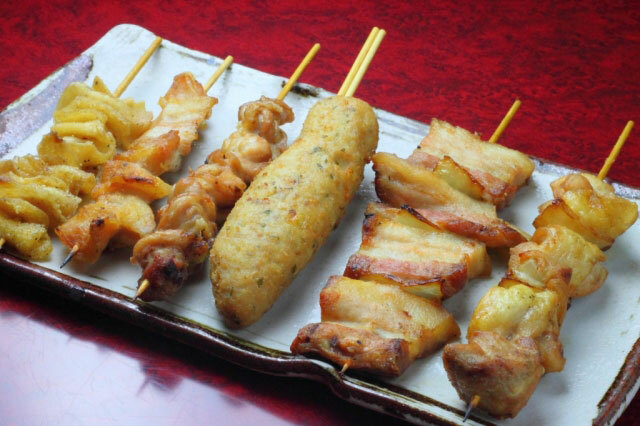 Kawa is a traditional yakitori preparation where chicken skin is folded and grilled extra crispy. Tebasaki are grilled chicken wings. Sunagimo are chicken gizzards, rebaa are chicken livers and nankotsu are breast cartilage… marinated, glazed and grilled to perfection. You can even get chicken heart, neck and hind end! Grilling yakitori is an art form. Binchotan charcoal is used to heat the grill, which is smokeless and odorless, and made from hard Japanese oak. The wood is fired at extremely high temperatures in an oxygen-poor environment and quickly cooled to make it smooth and long-burning. This charcoal is the best to grill with, as it doesn’t adulterate the flavor of the food. Eating yakitori is half the fun. Skewers are usually ordered in sets of two or as part of a combination plate called moriawase. You pick your sauce or tare, or just have your skewer sprinkled with salt. Sometimes, ordering sides of boiled eggs, potatoes or vegetables rounds out the meal, but mostly yakitori are delicious with beer and sake and good friends! Share your izakaya or yakitori-ya story with us… from here in the US or from your trip or stay in Japan. Then stay tuned for next month’s street food showcase! We’ve talked about the five basic elements of Japanese cooking so far in this series, showcasing salt, sugar, vinegar, soy sauce and miso in ryori no sa shi su se so. But we have yet to explore sake and mirin, both of which are essential to Japanese cooking, and are the topics of this month’s post. Sake and mirin are alcoholic liquors that are both imbibed and used as ingredients in cooking, similar to the way wine is used in French cooking. Both sake and mirin were originally cultivated as drinks–sake as a sacred offering to the gods, and to be enjoyed in ceremony by the Japanese people— and mirin as a popular aperitif among the upper classes. Today, their culinary uses have permeated all of Japanese cooking. 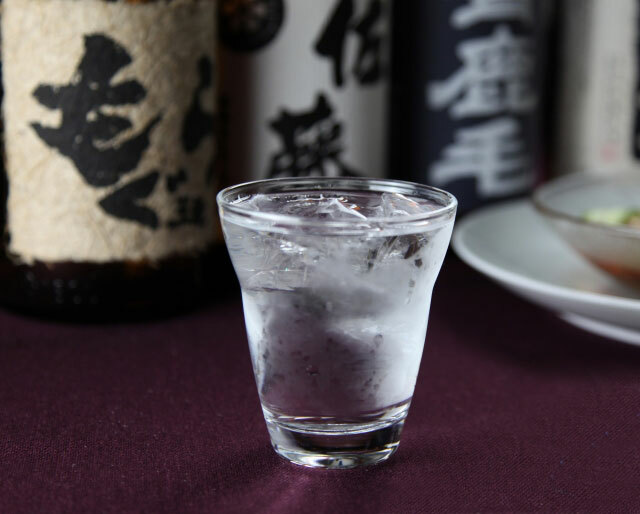 Sake, or nihon-shu, is a rice wine made from rice, spring water, rice koji and shubo. The technique for making sake was originally introduced to Japan from China, around the same time that the rice plant was introduced. The entire brewing cycle is overseen by a brewmaster, or toji, who carefully orchestrates the multiple steps that go into producing this wine. Rice from the last harvest in autumn is typically used to make sake, and once it is milled, it’s washed, soaked and steamed until the texture is ready for cultivating koji. Koji is a fermentation agent made by mixing the fungus Aspergillus oryzae to the steamed rice and allowing the enzymes from the mold to convert the starches in the rice to fermentable sugars. After about 48 hours, one part koji is then mixed with three parts steamed rice and placed in a temperature controlled tank or vat. A special type of spring water is used in sake brewing, containing very little manganese and iron, and containing high quantities of potassium, magnesium and calcium. This special brewing water and shubo, or yeast, is added to the koji rice mixture, allowing the yeast to consume the sugars created by the koji, and turn them into alcohol over the course of approximately three weeks. When the toji believes the brew temperature, sugars, alcohol levels and acidity levels are just right, the mixture is poured into cloth bags that are placed neatly in a pressing tank, which compresses the mixture and drains the liquid sake out of the base of the press. 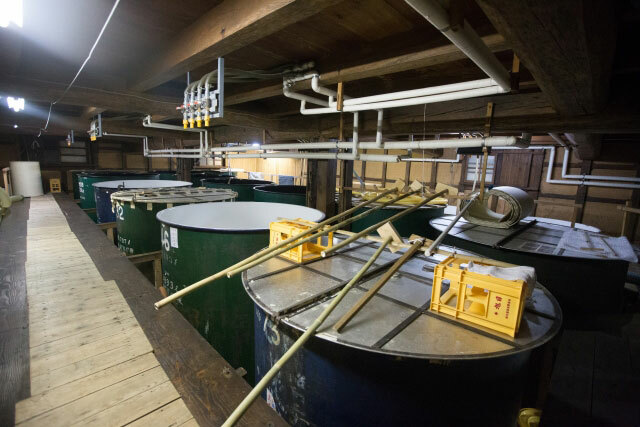 The sake is aged for up to four months in refrigerated tanks, after which it is either pasteurized or kept cool and packaged for sale. Sake is powerful stuff. It’s got up to a 20% alcohol concentration! Mirin is sweeter, and milder. Brewed in a way similar to sake, mirin is made with glutinous rice (instead of the rice used for sake), koji, and shochu (a type of distilled spirit), then fermented up to two months. 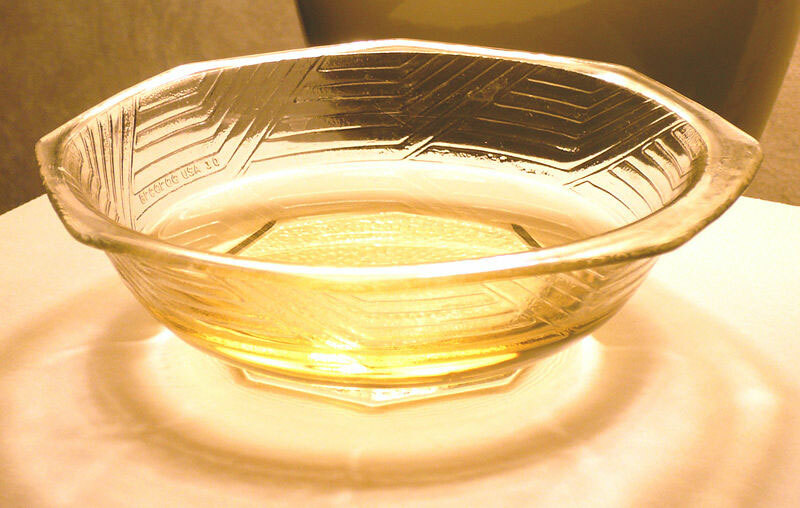 The shochu suppresses the production of alcohol in mirin, so the final product is contains less of it than does sake. Two types of mirin are generally available: hon-mirin, also known as real mirin, and mirin-fu chomiryo, also known as mirin-like condiment, which has virtually no alcohol but a similar flavor. Both sake and mirin are wonderful ingredients in Japanese dishes. Sake is often used to tenderize meat, poultry and seafood, eliminates unpleasant odor and draws out the natural flavors of the foods it is cooked with. Mirin can firm up meats and seafood, and add a touch of sweetness and sheen, especially to glazes and sauces, such as teriyaki sauce. While mirin is almost exclusively used in cooking, sake is still a beverage enjoyed from the beginning to the end of a Japanese meal. Grab a small cup and pair it with Chanko-Nabe, a one-pot stew flavored with sake and mirin, or Teriyaki Yellowtail, marinated with sake and mirin. As always, we’d love to hear about your experiences as a beginner with Japanese cooking, so leave us a comment below. We continue our series about rice with information and recipes about this staple food by discussing long-grain rice—one of the most well-known types. As with medium- and short-grain rices, long-grain rice is classified by its size. Grains are slender and usually four or five times longer than they are wide. The grains are 7mm in length or longer, and when cooked, result in separate, loose and soft grains. The majority of long-grain rice is grown in Northern India, Bangladesh, Thailand and other parts of Southeast Asia, parts of China, Jordan, Yemen, Iraq, Egypt, and Argentina, Brazil and the United States in the Americas. 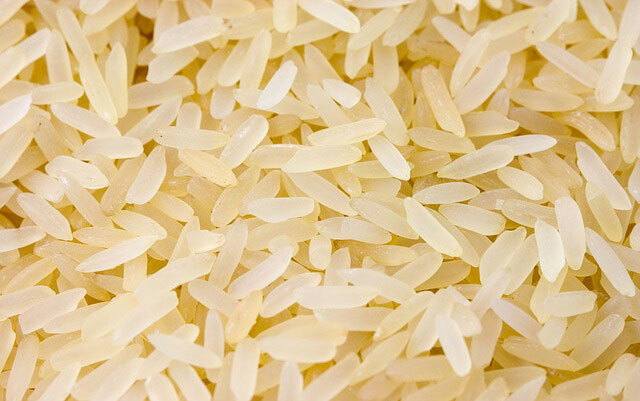 The many types of long-grain rice include basmati varieties, fragrant jasmine and upland rice. The origin of long-grain rice contributes to its aroma, flavor and texture. Not only is long-grain rice distinct from medium- and short-grain rice in terms of size, texture and flavor, but it’s also processed somewhat differently. Long-grain rice kernels are more fragile than the shorter varieties, and require more delicate handling. Milling the rice requires a series of discs and rollers for removing the tough outer husk and inner husk one at a time to produce unbroken polished white grains. When packaged for export and sale, long-grain rice is usually stored in hard plastic containers or tightly packed into jute or burlap bags lined with hard plastic fibers, in order to protect the grains. Due to the more intense processing cycle, long-grain rice is often more expensive to buy, leading some countries to produce and export long-grain rice at a higher price, and import less expensive, potentially lower quality, rice to feed their people. The expense is often worth it. 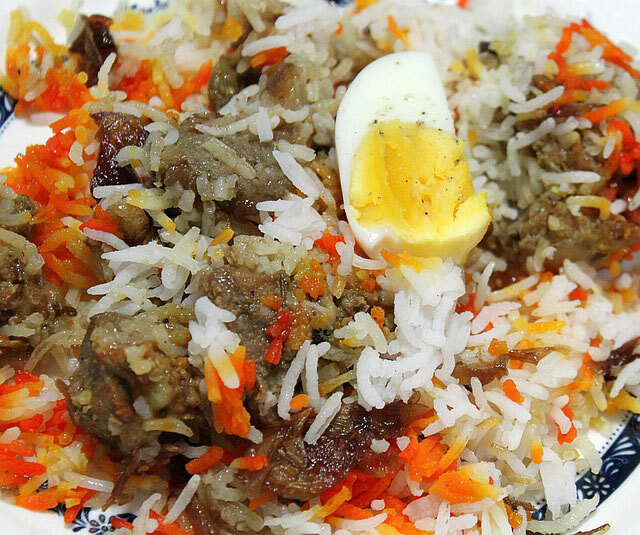 Long-grain rice has been used to create iconic dishes from so many cuisines across the globe. Full of flavor and aroma, the grains are used for Biryanis from India, Pilafs from the Middle East, Red Beans & Rice from the United States, and even plain boiled long-grain white rice as a staple in Southeast Asian dishes. 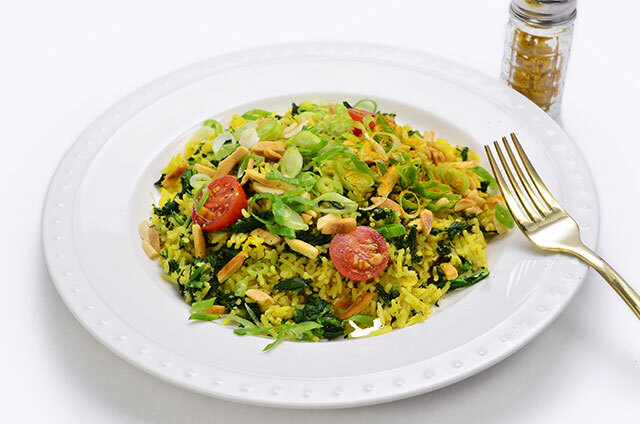 Some of our favorite recipes include Thai Green Chicken Curry with fragrant jasmine rice, Gumbo Bowl and Spicy Basmati Rice with Lentils and Spinach. We love all of these! And when you make them, be sure to use long-grain rice… these fragile, distinct grains have such a unique texture—you’ll definitely love the results you get from using the right type of rice! Let us know what you tried, and share your recipes below!